Where can I get a YouTube to DVD converter? For you to convert YouTube videos to DVD VOB format, you will have to get a software that is built with DVD conversion functionality. This situation may sound hard but believe me you! There are numerous YouTube to DVD converters that you can download. One of the YouTube to DVD converters is iSkysoft Video Converter Ultimate. You can download this software from its official website which is iSkysoft. You can then install the software and use it for your conversion. Why iSkysoft Video Converter Ultimate? It is because of its excellent features. To begin with, it allows you to upload downloaded YouTube files and convert them to DVD formats. Other than that, you can also convert files to audio formats like MP3, WAF, AIFF and video formats like MPEG, AVI, MOV, ASF and others. Moreover, iSkysoft Video Converter Ultimate is built with a DVD burner that allows you to edit DVD media, burn DVD media and copy the DVD media to DVD discs. Furthermore, this software will enable you to personalise DVDs using the different inbuilt DVD templates. 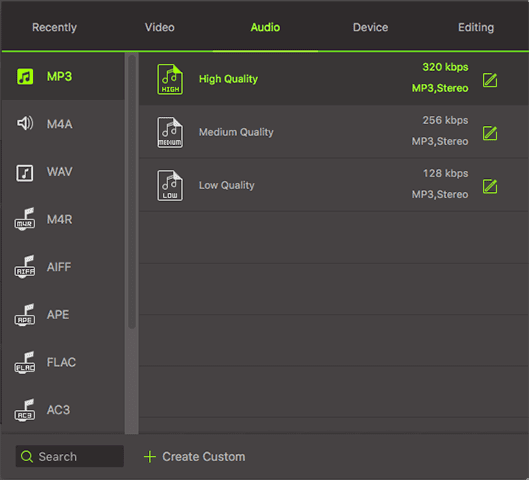 Also, this media converter is super fast and allows one to turn on high conversion speed when dealing with large files. Here are other main features of this YouTube to DVD converter. It supports batch conversion of video files. You can convert online audios and videos from over 1000 sharing sites like VEVO, YouTube, Vimeo, DailyMotion and much more. 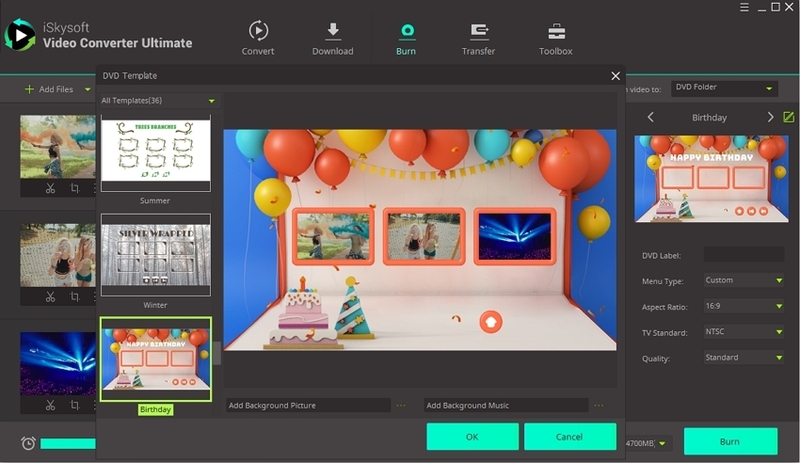 It is a video editor that allows one to do basic editings such as; cropping, splitting, merging, adding watermarks, adding effects, adjusting brightness and others. It is built with DVD media templates for your own customization. 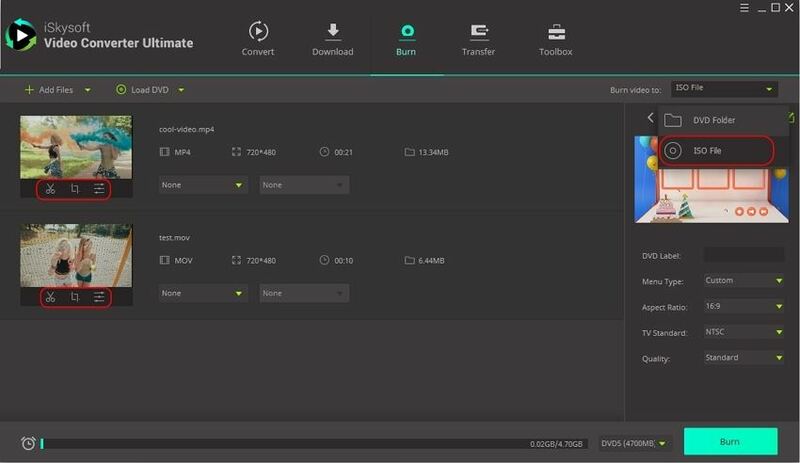 With its toolbox, you will be able to convert VR, make GIFs, edit metadata and record your desktop activities. Compatible with iOS devices, Android devices and external storage devices. Download the software from iSkysoft iMedia Converter page to get secure software. On your computer, open the iSkysoft Video Converter Ultimate program. Next, you need to add files to the program. This is done by, click on “Convert” option and then click on “Add Files”. The program will allow you to add files or folders from your computer. Add all the YouTube videos that you want to upload. Alternatively, you can drag and drop the files to the program. From there you have to define an output format. Click on “Convert All Tasks to” and choose the “Video” formats. When you scroll down, you will see “VOB” format. Click on it and select the output quality. If you want a personalised output quality, click on “Create Custom” and follow the prompts. Next, click on “Output” folder at the bottom of the page and choose where to save your files. After that, click on “Convert All” button at the lower right. By doing so, it will trigger the program to convert your YouTube videos to DVD VOB format automatically. The time it will take will depend on the size of your YouTube files, but it is faster compared to other media converters. Check the converted files under “Converted” icon the program, or you can visit your defined folder. Having learnt about the YouTube video to DVD converter for desktop, you also need to learn about an online YouTube to DVD converter. Different sites allow you to convert YouTube videos but not all are free. For some, you have to purchase or do some registration. However with a website like Zamzar Converter. This online is site is free to use. Zamzar YouTube to DVD converter allows you to upload and convert files to VOB format. It also supports other video formats like WMV, MOV, MPG, and MPEG and even device formats like iPhone iPad and iPhone. When you use this site, you will be able to upload files from your local drive or download them from YouTube directly. With this site, you have to provide an email in which you will be able to download your converted DVD VOB file online. Remember, to be able to convert YouTube files it should be less than 100MB.